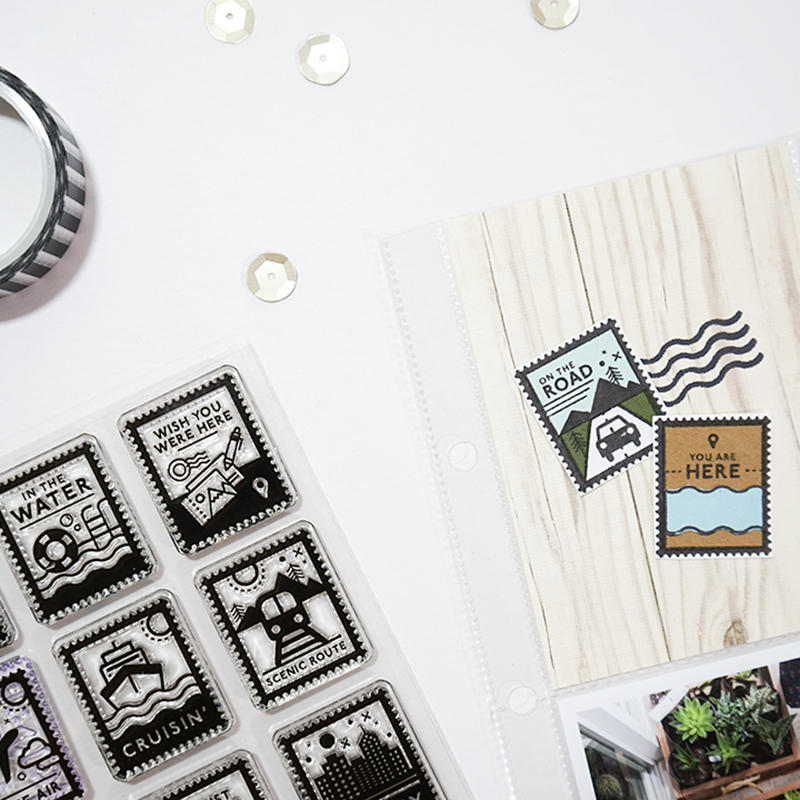 I made a couple of pages using the June release of stamps at Everyday Explorers Co. The Choose Your Own Adventure stamp set is SO good! I'm pretty sure I will be using all of these little postage stamps eventually! We recently spent a long weekend in Seattle and I will probably do a mini-album of this trip at some point. But since mini-albums take me a long time, and I'm a little particular about not leaving anything out from my Project Life albums, I decided to add a few inserts with some photos from the trip to my album. This page documents a day where we drove North from Seattle to explore some other towns (Mt. Vernon and Bellingham) and then drove South to stop at Deception Pass State Park for some nice hiking. It was a spectacular day. 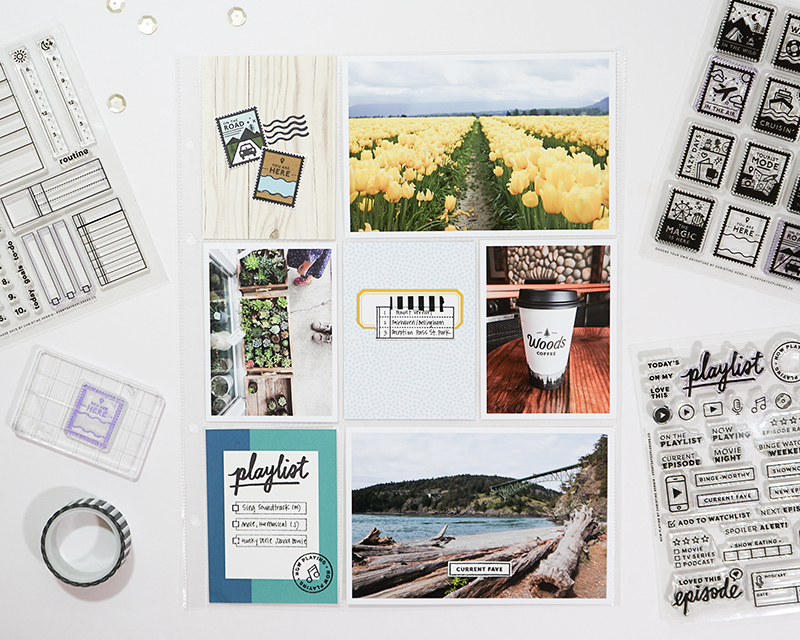 I used the Now Playing and These Days stamps to make a card documenting the songs we listened to in the car while on the road. We've been taking turns in the family choosing songs and I think this will be fun to look back on later. I also used the Choose Your Own Adventure stamp to create some postage stamps. To get that perfectly colored look, I stamped the same image on different colored cardstock, cut out the pieces of the image and then adhered them all together. It was kind of like putting a puzzle back together and I like the clean way these turned out. For my second project, I documented a week in my Project Life album where we had some relatives from France visit us. 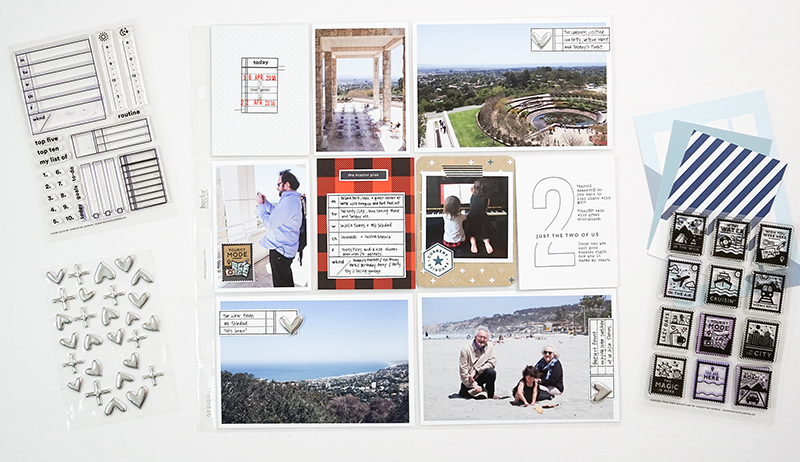 We took them to The Getty in Los Angeles, La Jolla, and of course, the beach! 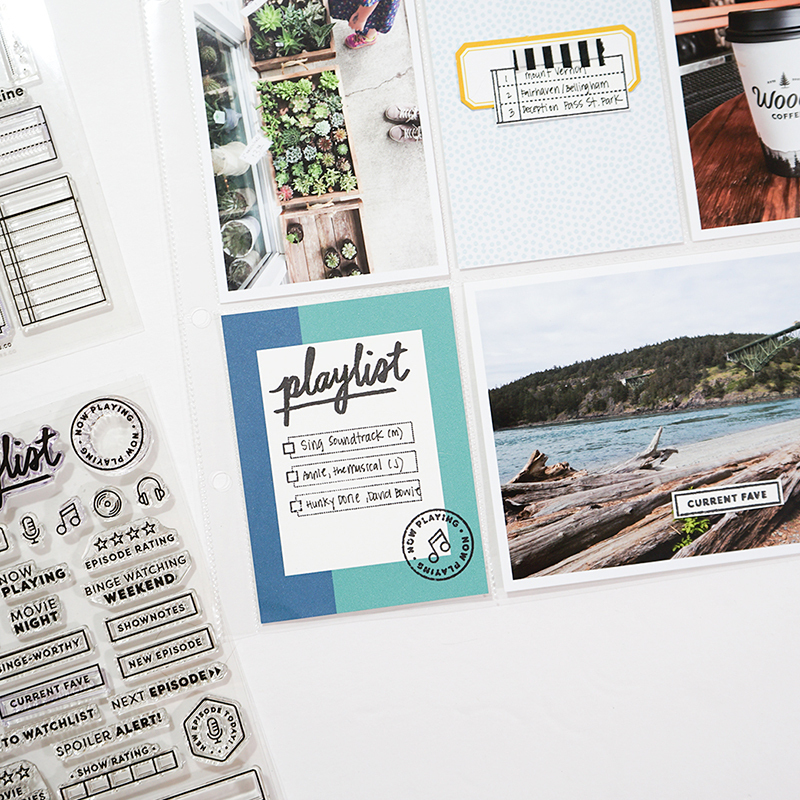 I used the These Days stamp to create labels for the 4x6" photos and added puffy hearts to these. 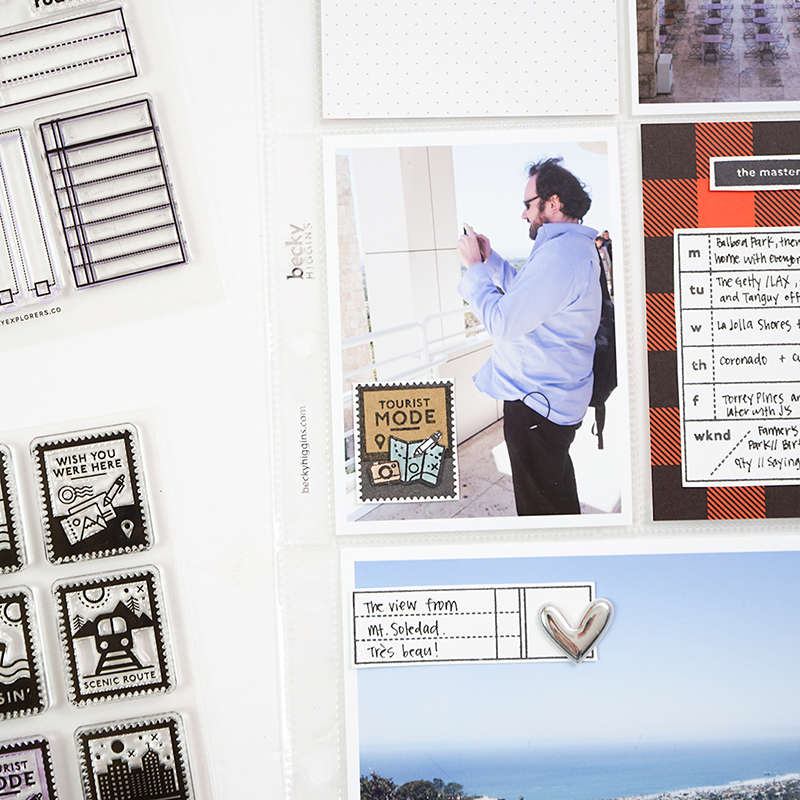 I also used the "Tourist Mode" stamp from the Choose Your Own Adventure set to make another custom postage stamp, used as an embellishment. Thanks for checking out my projects! I need to check out those stamps! I just saw some from the same shop on Instagram. I super love your pages! Thank you so much Magdalena!! I'm Jen. This is where I share a bit about my life and my crafty projects. Thanks for stopping by! This blog contains affiliate links which means it receives a small commission if you purchase using those links, at no additional cost to you. Your support helps keep this blog going - THANK YOU!